Screen Time Sanity: The Crazy Easy Guide To Doing Technology With Your Kids is your answer to all the turn it off battles, guilt over tech time and worry about what your kids might be seeing or doing online. You don’t have to be a tech expert to expertly guide your family when it comes to finding a healthy tech balance. We’ll show you how to use tried and true parenting principles and combine them with simple strategies that will put the control back in your hands and return peace to your home. Managing Our Kids and Technology Can Be Hard! Tantrums when we tell them to turn it off. Aren’t you SO OVER IT!!! As moms with six kids between us, we were too. →Parenting all the different devices ,apps and social media platforms felt overwhelming. →We were frustrated and tired of fighting with our kids. →We wanted to take back our families from technology and we knew there had to be a way. What we figured out wasn’t perfect, because no family is. But it was a dramatically better and it can be for your family too! Screen Time Sanity: The Crazy Easy Guide to Doing Technology with Your Kids is the answer to all your parenting and technology questions, problems and frustrations. The struggle is REAL. We know!!! That’s why we wrote this book. As moms with kids between the ages of six and sixteen, we’ve been through every stage of trying to parent in today’s technology world. We’ve faced the same issues every family is facing. But also as bloggers and writers, our work means we spend an enormous amount of time online, using social media and following parenting issues. On a daily basis, we observe the impact of technology on today’s families and the stress it creates for parents. We wanted to make tech easier for parents – CRAZY EASY! We wanted to give families peaceful homes again, where everyone actually talks to each other at the dinner table. 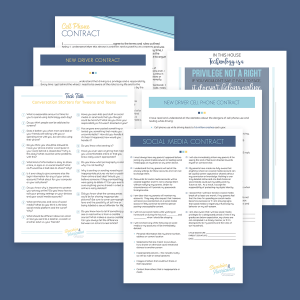 We wanted to give you a trusted guide that you could rely on as your kids grow. Yes, the technology is constantly changing, but many of the strategies and parenting philosophies we cover in this book will never change. You can tackle the tech monster who has taken over you’re home and find a healthy balance for your family. 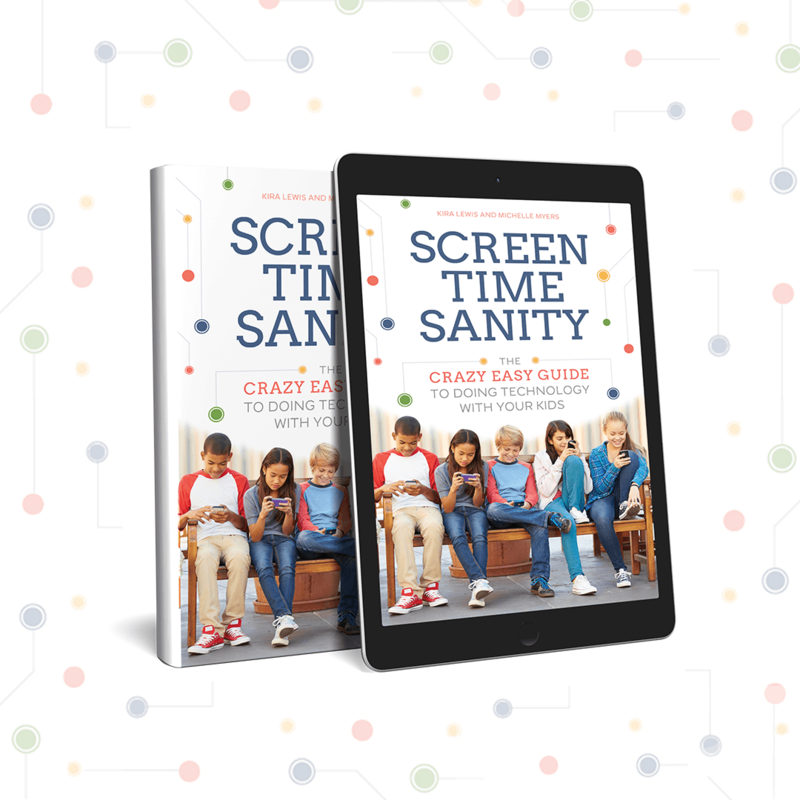 When you buy Screen Time Sanity: The Crazy Easy Guide To Doing Technology With Your Kids, you’ll get access to our members only Screen Time Sanity Resources Webpage. 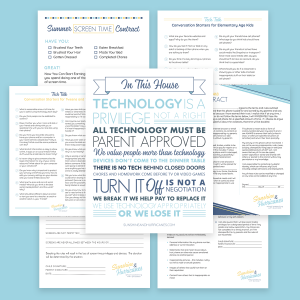 Here you’ll be able to download our Family Technology Management Printable Bundle FREE! 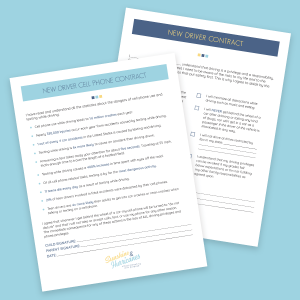 It includes family tech rules, screen-time and cell phone contracts as well as tech talk conversation starters. In addition, there are links to all the helpful resources we provide in the book as well as a section where we’ll keep you updated on ALL the latest tech trends that impact our kids (we’ve got all sorts of great info on there right now about Fortnite). So, what are you waiting for? Get your copy today. Unless of course you really enjoy all those tech tantrums, constant guilt and the non-stop worry….